Alternative Dispute Resolution, including Arbitration and Mediation. Carlos is the Senior Partner of the Firm. He holds an MA Degree in History and Politics from the University of London (1979); a Diploma in Law from the City University, London (1982) and the degree of Utter Barrister from the Inns of Court School of Law (1983). He was called to the Bar of England and Wales in July 1983 as a member of Grays Inn. Carlos was admitted as Attorney of the TCI Supreme Court in January 1984 and began practice with Ian M. Miller & Company, the predecessor of the Firm. Since then, Carlos has led the Firm’s civil and commercial litigation practice, specializing in contractual, tortious and equitable claims and judicial review applications. In recognition of his leadership within the legal profession Carlos was appointed Queen’s Counsel (QC) in January 2002, and for his public service efforts (including stints as a member of the House of Assembly) he was appointed to the rank of Officer of the British Empire (OBE) in June 2002. He also currently holds the positions of Notary Public and Justice of the Peace. Neil is originally from England and after obtaining his law degree from the University of Birmingham was admitted to the Roll of Solicitors of England and Wales in 1990. Neil practised in the UK until November 1994 when he moved to the Turks and Caicos Islands. Neil became a partner of the firm in April 1999. Neil has been a member of the Law Society of England and Wales and the Turks and Caicos Islands Bar Association. Away from the office Neil is heavily involved in the administration and organization of football. He was one of the founders of the Turks and Caicos Islands Football Association back in 1998. Neil has managed the national team through three World Cup qualifying campaigns. He now concentrates on coaching younger players. He also plays cricket and is a keen runner. Adrian is originally from Northern Ireland and after obtaining his legal education in London, England was admitted as a Solicitor in Engand and wales in 1990, where he practised law at a well-known firm until he moved to the TCI in 1993. In 1999, Adrian became a Partner of the firm. Adrian is a Partner in the corporate department of Miller Simons O’Sullivan. His practice includes all aspects of corporate and commercial law and he also has a significant international captive insurance practice. Adrian is well-versed in corporate and regulatory matters as relates to insurance and resinsurance companies. He is currently President of the TCI Association of Insurance Managers and a member of STEP. In addition Adrian is a former Director and the firm’s contact representative of the State Capital Group. As a keen sports fan and former rugby player, Adrian helped establish the Turks and Caicos Island Rugby Football Union. He is also an avid Tottenham Hotspur supporter. Jonathan is originally from England and after obtaining his Law Degree was called to the Bar of England and Wales in 1990. For the next 11 years he practised from Barristers’ Chambers in Temple, London. During this time he undertook a wide variety of contentious and advisory work. Jonathan moved to the Turks and Caicos Islands in late 2001 and was called to the Turks and Caicos Islands Bar in early 2002. Although Jonathan was a full-time barrister in England his practice in the Turks and Caicos is almost exclusively non-contentious. However, if required, he is in a position to represent clients where contentious issues or litigation arise from their transactions. Jonathan remains a door tenant at Goldsmith Chambers, Temple, London and is a member of Gray’s Inn. Jonathan is a member of the Society of Trust and Estate Practitioners and the International Compliance Association. Tim is originally from Ireland where he obtained his legal education and was admitted as a solicitor in 1979. In 1986 Tim moved to the Turks and Caicos Islands and n 1988 joined the firm, then located in Grand Turk. Tim was called to the Bar of the Turks and Caicos Island in 1986 and moved to Providenciales in 1990. Tim has extensive experience and expertise in the areas of tourism related property development and management. He has, over the years, represented and continues to represent the developers of many successful projects. In addition, where he does not represent the developer he is often preferred counsel for purchasers. Tim also has an extensive banking practice. Tim is regularly involved in acting either for the bank or borrower, in substantial lending transactions, both domestic and multi-jurisdictional. Tim served as the Managing Partner of the firm for most of the past decade, but now operates in a more advisory role to the other Partners. Louise is a Turks Islander and an Associate in the firm. Lousie graduated from Oklahoma City University in Oklahoma City, Oklahoma in 2003 with a degree in political science and French. Louise then obtained her law degree in 2006 at the University of Bristol in Bristol, England, followed by the Legal Practice Course at University of the West of England, Bristol. Following her time in England Louise returned home to the Turks and Caicos Islands and immediately commenced work at Miller Simons O’Sullivan. Louise was called to the bar in the tursk and Caicos in 2008. In 2009 Louise was admitted as a Solicitor of the Senior Courts of England and Wales. Louise is a member of the Turks and Caicos Bar Association and of the Law Society of England and Wales. Mark comes from England, where he studied English and History in the University of Salford prior to obtaining his legal qualifications at the College of Law in London. He practiced as a solicitor with various firms in Central London since 2001 and moved to the Turks and Caicos Islands in April 2015 to take up a role as an attorney with Miller Simons O'Sullivan. Throughout Mark's professional career, in both England and the TCI, he has dealt with a broad range of work for a wide spectrum of clients, both corporate and private. 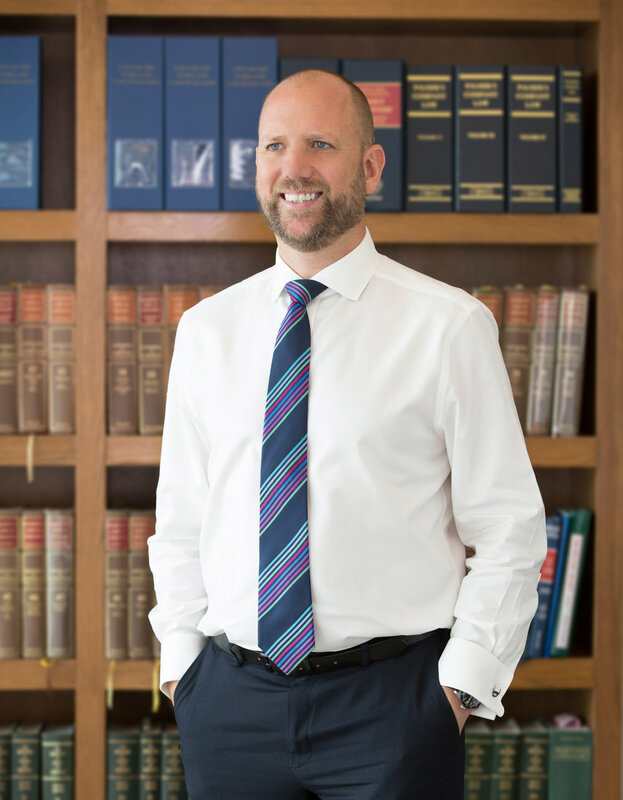 Whilst specialising in litigation, Mark is also able to advise on and assist with non-contentious areas of law, including property and corporate. Mark was called to the Bar of the Turks and Caicos Islands in September 2015, having been admitted as a solicitor of the Senior Courts of England and Wales in 2001. Outside of the office, Mark has a keen interest in sports of all kinds, albeit that his enthusiasm is matched only by his lack of ability. 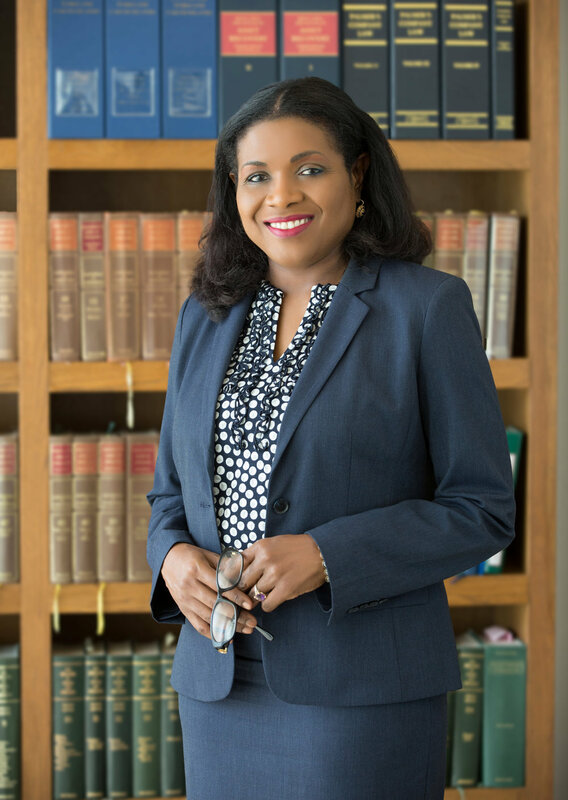 Attorney at Law, Turks and Caicos Islands (2017). Judith has held senior administrative postings in the public service including Director of National Parks, Director of Environment and Coastal Resources and Permanent Secretary in the Ministry of Natural Resources and in the Ministry of Health. These positions have required her contribution to the formulation of Government policy and the drafting of legislation in significant areas of the economy. Judith’s practice focuses on real estate conveyancing and loan security; immigration and permitting; business formation and licensing; tourism related planning applications (and appeals) and environmental impact assessments (with a particular interest in climate change and renewable energy); wills and probate. With her high level administrative background in Government, Judith is able to confidently guide clients through the sometimes-frustrating processes of applications, approvals, grants and appeals in any of these areas. Academic Qualifications: LLB (Hons.) University of London UK (2015); LLM (Distinction), University of Kent, UK (2006); MSc, UWI (Cave Hill Campus) 1996. Professional Memberships: Turks and Caicos Islands Bar Association; UK Environmental Law Association. Steve was born in Scotland, but grew up in Canada before moving to the Turks and Caicos Islands in 2001. In his spare time Steve enjoys golfing and has been a member of the Turks and Caicos national golf team. Steve manages M&S Trust Company Limited and undertakes Trust Administration and Accounts, Investment Services and Escrow and Accounting Services. Steve is a member of the Society of Management Accountants of Nova Scotia and the Society of Trust and Estate Practitioners.